“Citizens and businesses will now be able to use Skype to message, talk to, and video call Government agencies." 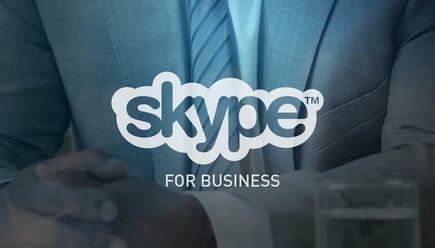 Fujitsu has served up Microsoft’s Skype for Business unified communications platform to the New Zealand Government, utilising its place on the Government Telecommunications-as-a-Service panel. As reported by Computerworld New Zealand, Fujitsu was appointed as one of 12 Government telecommunications providers in November, tasked with provide leading unified communications solutions and services. As such, the tech company partnered with Microsoft in New Zealand to create a GoCommunicate, a Government unified communications service based on Microsoft’s Skype for Business solution. Designed to remove costly traditional telephone systems, Fujitsu’s GoCommunicate provides agencies with an integrated service that brings together IT and communications for a monthly fee per user. “Outside of a beneficial commercial model, GoCommunicate helps connect Government, citizens, and business using a common and familiar tool,” says Stuart Stitt, Managing Director, Fujitsu New Zealand. Stitt believes the convergence of IT and telecommunications hasn’t always been reflected in the industry commercial models, with traditional telecommunications companies dominating voice calling services, despite the rise of new-world services such as Skype at home. “GoCommunicate brings the familiarity of Skype into the business world, and enables seamless communications between citizens and agencies using Skype for Business,” he adds. Under the IT Managed Services (ITMS) panel, many government agencies already use Fujitsu’s Service Aggregation capability for managing ICT vendor environments. With the launch of TaaS, Mike Bullock - General Manager of Sales, Fujitsu New Zealand, says agencies are now able to use Fujitsu’s mature Service Aggregation capability to manage and coordinate telecommunication providers, enabling agencies to select the best providers in each area. “This helps to break the stronghold of the major telecommunications providers and promotes greater competition and innovation for the New Zealand market,” Bullock explains. For Bullock, the recently updated ITMS service, DaaS, and now TaaS enables agencies to receive a full end-to-end ICT service from Fujitsu without the overheads of a lengthy and expensive procurement process. “This reduces the cost for both the industry and agencies, enabling agencies to focus their efforts on using technology to engage with citizens and businesses, making the public sector more efficient and faster moving,” he adds. Locally, Fujitsu is a major provider of outsourced ICT services to the New Zealand Government, and globally, a key alliance partner of Microsoft.